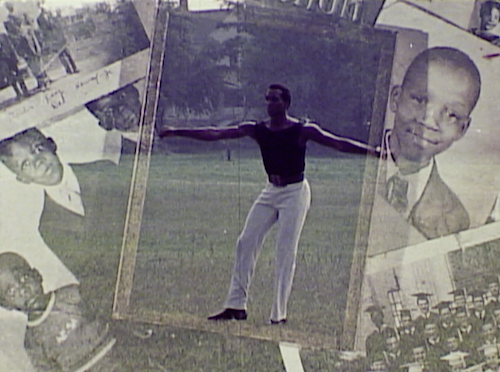 Chicago Film Archives and the Black Cinema House complete this summer series with two films that explore and express the transcendent nature of dance. Doug Crutchfield never doubts the source of his inspiration to dance in the film DANCING PROPHET. And DANCE BLACK AMERICA recalls its spiritual African roots in this extraordinary documentary of a 1983 dance festival at the Brooklyn Academy of Music, created by D.A. Pennebaker and Chris Hegedus. Doug Crutchfield, son of a minister from Cincinnati, Ohio, knew what he wanted to do with the rest of his life…and it wasn’t what his father wished for him. Theater, then dance sent Doug to New York City and on to Copenhagen, Denmark, where he finally found his calling. The film (and Crutchfield’s dance career) unfolds to the rhythms of the antagonistic back and forth that often happens between father and son. Opening a school of jazz dance in Denmark, Doug finds himself expanding and sharing his love of dance… from his students to the elderly, to the disabled and handicapped. A singularly unusual film from CFA’s Chicago Public Library Collection. This rarely seen documentary navigates a four-day festival of black dance at the Brooklyn Academy of Music. Incorporating archival footage, D.A. Pennebaker and Chris Hegedus unwrap the history and legacies that influence the artistry of mid-twentieth century African-American dance. Movement derived from African spiritualists, Katherine Dunham, and the Lindy Hop connects with the music of Smokey Robinson, Charles Mingus and Dejan’s Olympia Brass Band. The Alvin Ailey Dance Company provides a theatrical finish to the film, but watch out for the haunting performance of Eleo Pomare’s Junkie tucked somewhere in the middle.